From coffee shops to weight rooms, water coolers to dinner tables, there’s one game everyone in Northern California is talking about. This year, for the first time, Folsom High and De La Salle will meet on the gridiron in a regular-season matchup. Rarely do two powerhouse programs meet in a season-opener with so much on the line — but that’s all part of their plan. Winners of six CIF State Bowl titles in the last decade, the Spartans have played in the CIF Open Division finale for nine consecutive years. If they want to reach No. 10, they’ll have to go through the three-time state bowl champs from Folsom. In talks for years, the two storied programs wanted to get a matchup on the books but schedules never lined up — until now. It’ll happen Aug. 17 at 7:30 p.m. in Concord. When Richardson told his team of this year’s schedule, they were excited for the challenge. For a coach who hails from the Bay Area, Richardson knows the lore that follows the Spartans, and realizes the importance of this game. De La Salle and Folsom have finished in the top two in the final MaxPreps NorCal rankings in five of the last six seasons. The Spartans have appeared in a CIF state championship bowl game for 12 straight years and have dominated Northern California competition. Folsom has 131 wins in the last decade and gone 3-0 in state bowl appearances. Not since 2011 (Grant-Sacramento vs. Folsom) has a NorCal season-opening matchup received so much hype. The magnitude of that game pales in comparison to this one. 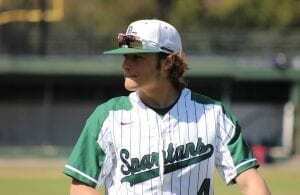 If Folsom were to emerge with a victory, it would become the first NorCal team to defeat the Spartans since Pittsburg did it in the 1991 North Coast Section 3A final. 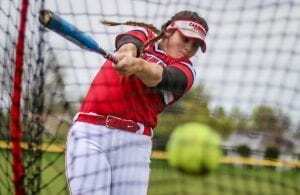 Since that loss, De La Salle has crafted a 291-game unbeaten streak against NorCal teams. Alumbaugh said he always schedules tough preseason games to prepare for the level of competition his team routinely sees in the playoffs. Folsom falls into that category. Prior to 2014, Folsom and De La Salle met twice, both times in the CIF regional playoff, both convincing wins for the Spartans (2012 and 2013). With this game, both programs chose to take the decision out of CIF’s hands. 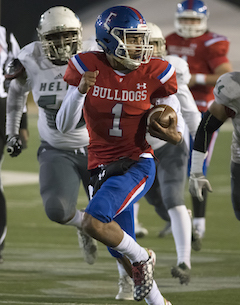 Undoubtedly, a win over the Spartans would put the Bulldogs in control of their own destiny when it comes to earning their first CIF Open Division Bowl berth. Kaiden Bennett, Joseph and Daniyel Ngata, Elijhah Badger, Caleb Nelson and Dylan Jorge form one of the most talented receiving corps and backfields in the state, and Richardson knows how to utilize them. Four-receiver sets, motion, end-arounds, screens, the hurry-up offense, crosses, digs, posts, corners, outs, ins and more. It can get dizzying for a defense. After amassing 4,431 passing yards and throwing for 57 touchdowns as a junior, Bennett will lead Folsom’s offense into 2018 with even higher expectations. He could be the difference-maker against De La Salle. When the teams met previously, the ultra-talented Jake Browning (now about to begin his fourth year starting for the University of Washington) couldn’t get the ball out of his hands quickly enough against the Spartans’ pass rush. Bennett might not be able to do that either, but he can use his legs to create space. “We faced a lot of good dual-threat quarterbacks last year, and he’s going to be another one,” Alumbaugh said. 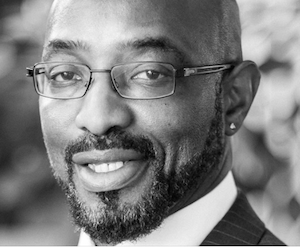 “He puts a lot of pressure on your defense because first of all, he’s a good quarterback, but when he takes off and runs, he has some good speed. The Spartans hope to make Bennett uncomfortable in the pocket with an aggressive rush. 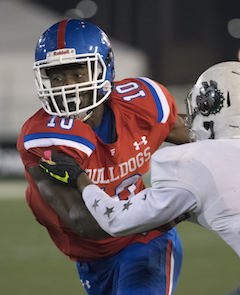 They’ll also look to double-cover the Bulldogs’ highly touted receiver, Joseph Ngata. But they won’t be able to do that every play. That means senior cornerbacks Amir Wallace, Taveis Marshall and Grant Daley will have a shot at covering Folsom’s most athletic and explosive playmaker one-on-one. Standout senior linebackers Henry To’oto’o and Jhasi Wilson will be tasked at keeping Daniyel Ngata in check out of the backfield. 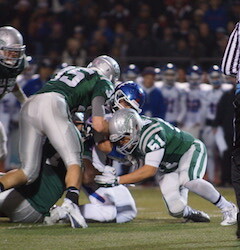 Possibly the best defense De La Salle could implement comes from its offense. Control the clock by running the football and keep the ball out of Bennett’s hands. 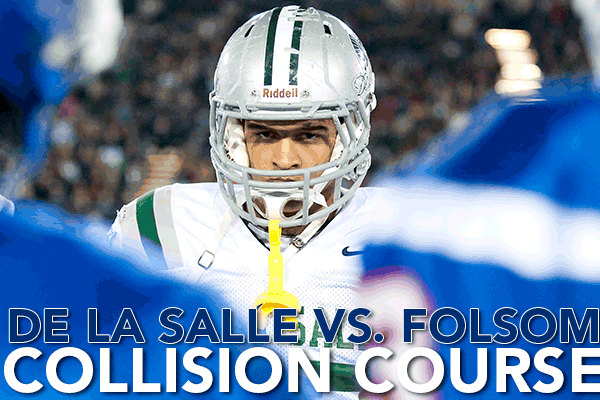 Folsom expects the same downhill-running, triple-option threat from De La Salle that they’ve seen before. It worked in 2012 and again in 2013, but the Spartans are willing to mix it up this year. 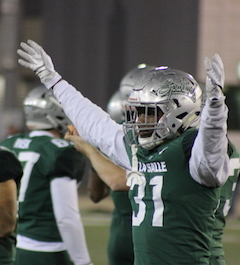 After rotating quarterbacks a year ago between Erich Storti and Andrew Jones, De La Salle made some changes. Storti will switch to safety this season, and with injuries to Jones, the team will turn to sophomore Dorian Hale to air it out. 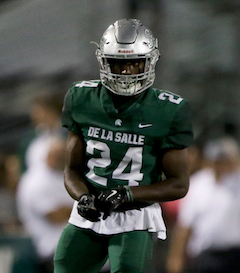 De La Salle junior Shamar Garrett will play key roles at tailback and defensive back for the Spartans in 2018. “He played a ton for us last year and he’s pretty gifted,” Alumbaugh said. 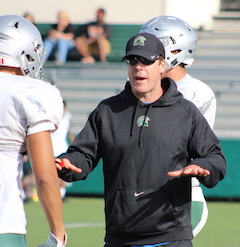 Although the Spartans will rely on To’oto’o at fullback and junior running back Shamar Garrett to carry the load, Hale will have a few weapons to throw to. Isaiah Foskey has the size of notable alum and current Atlanta Falcons tight end Austin Hooper (who starred in the 2012 win over Folsom), and he has the power to truck a defensive back in open space. Jones and James Coby will get chances to catch a few passes and run the ball. Folsom won’t do much to take away the pass come mid-August, but they expect to hold up in the trenches much better this time. “We’re bigger and stronger up front than we were in those two previous matchups, and we’re a little more experienced in our coaching staff, so hopefully we can take away their bread and butter plays,” Richardson said. Although both programs will have scrimmages prior to their game, the teams will surely show some offseason rust. Regardless, the game has every chance to live up to the hype.